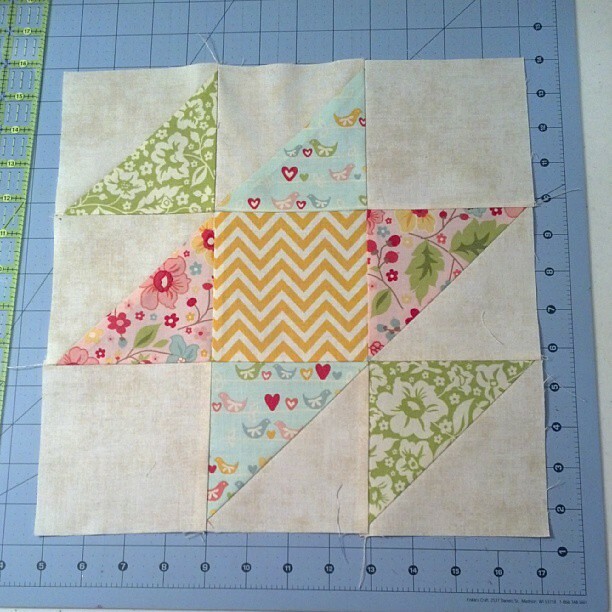 It has been a while since I've updated y'all on the progress of my Sisters Ten Block of the Month. 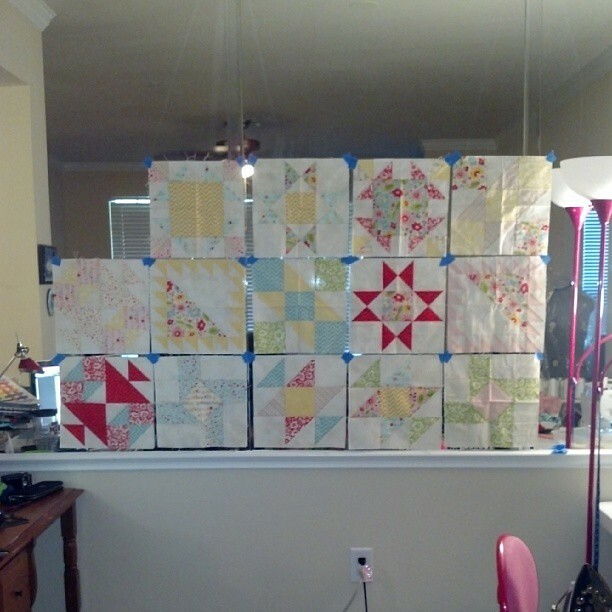 I'm mostly caught up with everything, I just need to work on my blocks for August. I have them cut out but not pieced together yet. This is the most recent block I have done, and it's from July... I should really work on those August blocks considering August is over in like 2 days! I can't believe the summer has gone by so quickly. It seems like just yesterday Jeff was graduating and we were moving to Houston. 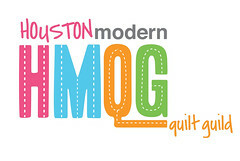 Those are such pretty blocks, your quilt is going to be lovely. Interesting desing wall :-) Nice blocks. Lovely - these will make a beautiful and fun quilt! 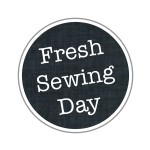 Stopping in from Fresh Sewing Day! Cute! I love the fabrics you chose!